BANGI, November 19, 2018 – To rejuvenate literature at the Higher Education Institutions (IPT), private colleges and Polytechnics should play a bigger role in organizing programmes involving literature such as the Malaysian Writers’ Gathering Program that was held at Universiti Kebangsaan Malaysia (UKM) recently. 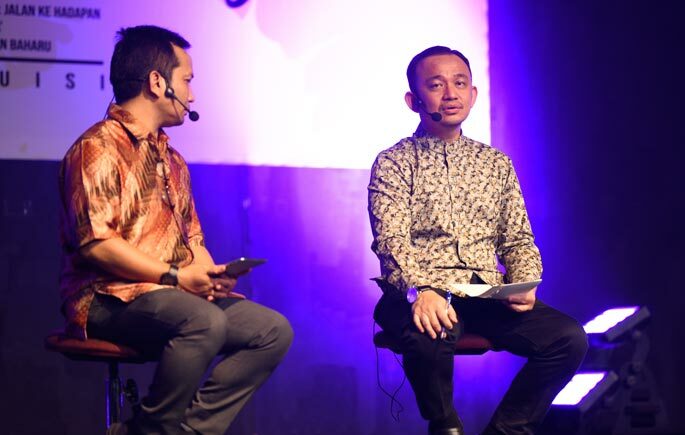 Minister of Education, Dr. Maszlee Malik said literary programs should not be ignored in upholding Bahasa Melayu as a National Language. “Not only in IPT, but even schools also cannot marginalize such programs. We do not want students to consider literature as a ‘low class’ subject, but instead we want to make literature as the students’ choice as well as science stream,” he said during the Public Dialogue with the Minister of Education at the Malaysian Writers Association Programme. He said Pakatan Harapan government planning to combine literature and science in the new Malaysia era. “One of them is that we will revive the Education TV for free, as it once did. We will also make sure the literature writing will reach all school libraries and universities, including private colleges,” he added. The program was jointly organized by the Ministry of Education Malaysia (MOE), UKM, Dewan Bahasa Dan Pustaka (DBP), Malaysian Institute of Translation & Books (ITBM), Perbadanan Kota Buku (PKB) and the Malaysian National Writers Association (PENA).